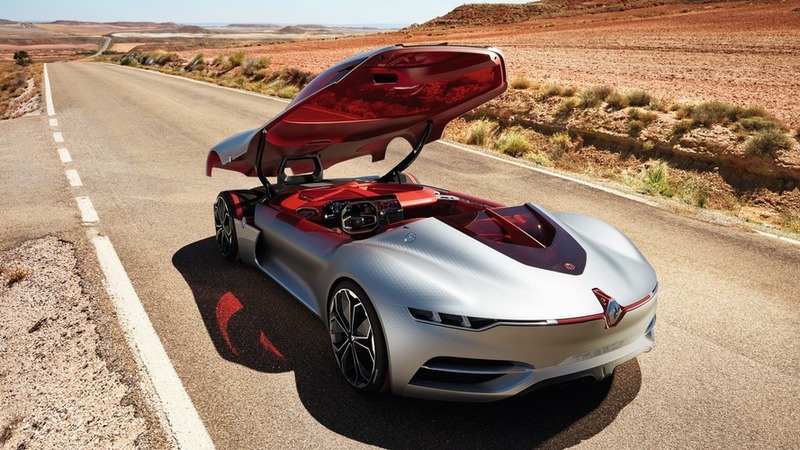 Signaling Renault's new design language, the all-electric Trezor has been envisioned as a futuristic grand tourer. A follow-up to the gorgeous DeZir from six years ago, the new Trezor has the exact same role as the concept before it: to preview Renault’s new design cycle. It takes the shape of a lovely two-seater GT with a sleek and curvaceous carbon fiber body featuring red glazing to provide a splash of contrast. The low-slung vehicle has an extremely long hood and muscular fenders giving the 4.7-meter concept a powerful stance also enhanced by the large 21-inch front and 22-inch rear wheels. Not only is it pretty, but the body is also extremely aerodynamic with a drag coefficient of only 0.22, while the monocoque and the spectacular cabin access hatch are made from carbon fiber to keep the weight low. 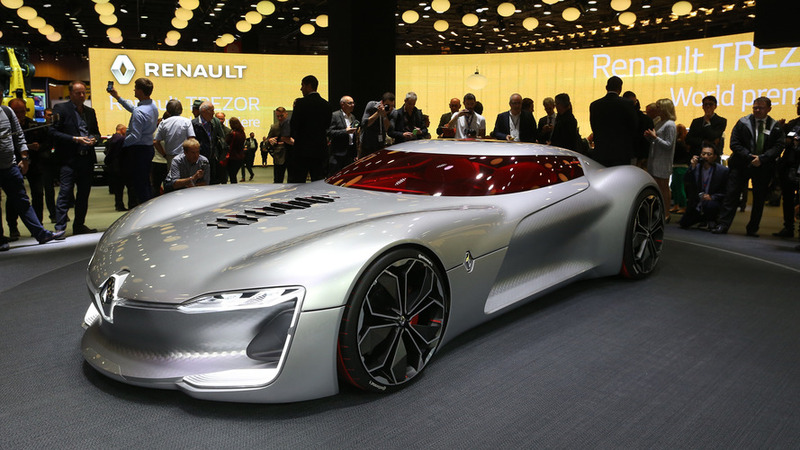 Speaking of which, the Renault Trezor tips the scales at 1,600 kilograms (3,527 pounds), which is not half bad taking into account it has an electric powertrain and it’s also quite large. Opening the one-piece clamshell roof will provide access to a futuristic cabin with plenty of room for two people thanks to the generous 2.7-meter wheelbase. The highlight of the interior is represented by the massive OLED curved display using Corning Gorilla Glass to offer protection against scratches. Unsurprisingly, the Trezor boasts autonomous driving technology and once it’s switched on, the steering wheel will change its shape to give the driver a panoramic view of the dashboard. 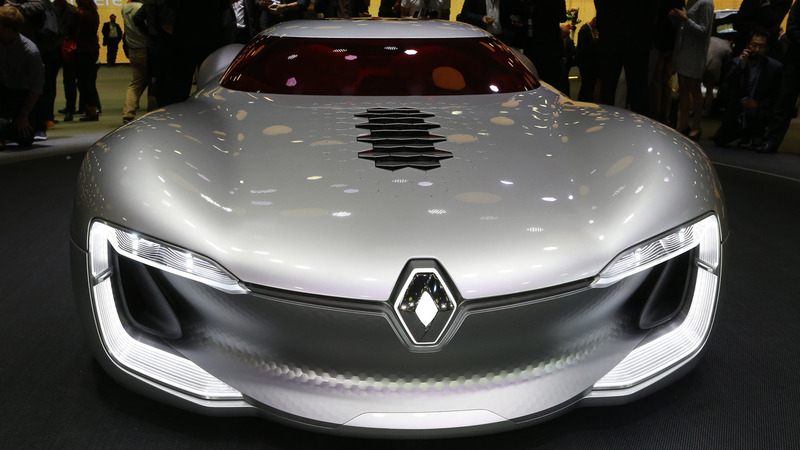 As for power, Renault’s latest concept uses a powertrain derived from its Formula E car and in this application it delivers 350 hp (260 kW) and 380 Newton-meters (280 pound-feet) of torque to the rear wheels. 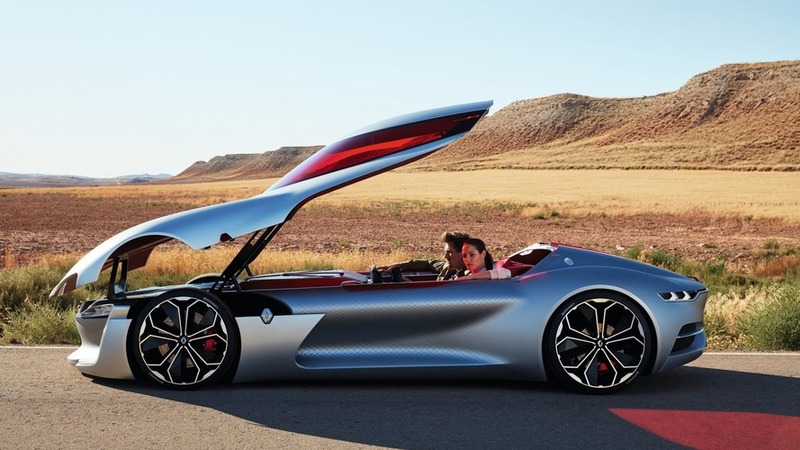 It’s enough electric power to grant the Trezor with a sprint to 62 mph (100 kph) in less than four seconds. The maximum range has not been specified, but we do know the engineers have fitted the car with two air-cooled big batteries, one sitting at the front while the other is in the back to ensure an optimal weight distribution between the two axles. 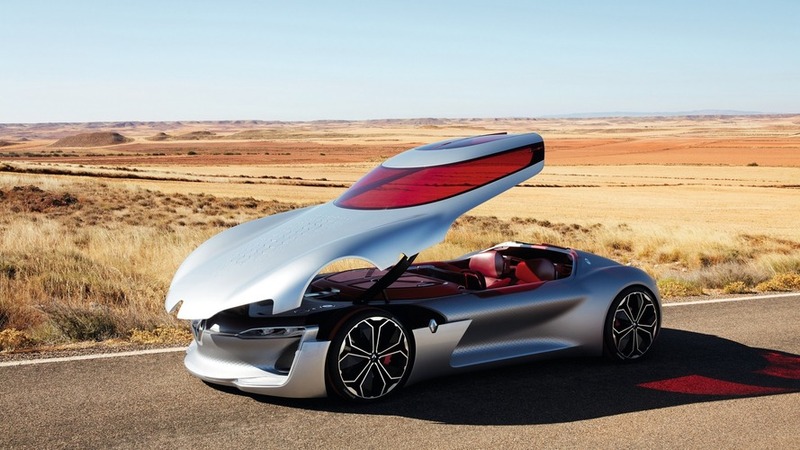 Although it’s too spectacular to ever morph into a production car, the Trezor is certainly an exciting way to express Renault’s forthcoming design approach.